With a population of approximately 55,000, Kidderminster is a large town in Worcestershire in the Wyre Forest District. There is a wide range of property in the area to suit a variety of budgets; at My Home Move Conveyancing we continue to improve our knowledge of local markets like Kidderminster, enabling us to deliver our clients in the area a specialist, fixed fee conveyancing service. When considering the sale or purchase of property in Kidderminster, you must instruct a lawyer to carry out the legal work on your behalf. 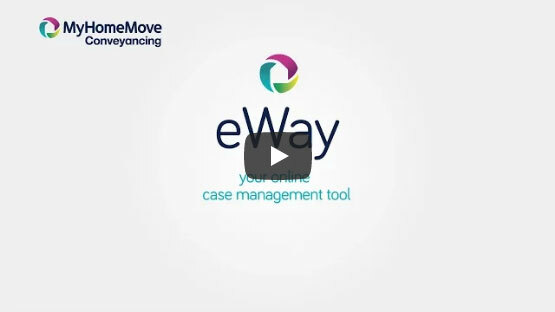 At My Home Move Conveyancing we offer our clients in the Kidderminster area an award winning level of customer service, an innovative use of technology and intimate knowledge of the local market. Our fixed fee conveyancing service comes with no hidden extra costs to worry about, meaning you can budget for exactly how much you’re going to pay from the outset when you choose us to be your Kidderminster conveyancers. If you don’t end up moving, you won’t have to pay us a thing. We will assign you a dedicated conveyancer who will take care of all aspects of your case from start to finish, providing you with a consistent point of contact and regular progress updates. We supply our conveyancing services in Kidderminster to homebuyers looking for a variety of properties, including those close to Brinton Park or the River Stour and in neighbourhoods such as Franche, Habberley and Hoobrook. The average house price in Worcestershire is £178,748, while the overall average sale price in Kidderminster over the last 12 months was a touch lower than this at £163,346. Most sales during this period involved semi-detached properties, which went for an average of £152,015. Terraced and detached properties sold in similar numbers, fetching £127,459 and £240,798 respectively, while flats averaged at £89,310. It is thought that the Kidderminster area was settled by an Anglo-Saxon tribe, before a monastery, or ‘minstre’, arose and gave the town its name. The town was fundamental in the rise of the modern carpet industry, while the River Stour flows through the centre of Kidderminster, in addition to the Staffordshire and Worcestershire Canal. There are plenty of modern amenities for residents to take advantage of, along with a close proximity to Birmingham. Kidderminster’s larger neighbour lies around 17 miles to the northeast, and its Moor Street station can be reached in under 40 minutes from Kidderminster. The A456 road can be used to get to Birmingham, and to reach the A49 in the west. The A448 heads east to the M5 motorway, while Birmingham Airport lies approximately 30 miles from town. There are direct rail services to London Marylebone station that take just under two and a half hours. There is a good selection of schools in the local area for families with children to take into account, with primary options including Stottesdon CofE, Cookley Sebright Primary and Comberton Primary on Borrington Road. The Lacon Childe School and Wolverley CofE are among the choices at secondary level, while Kidderminster College provides further education in the area. All properties in Kidderminster will fall within one of the following council tax bands.